Let’s start this blog post by taking a deep breath, and by thanking CrypticSpartan for what can only be described as one hell of a 48-hours. Between the forums, Reddit and redditchat – Spartan was there constantly answering questions and identifying issues, and generally helping us keep our collective heads on while the community deals with graphics and kit issues. Over on the PWE side of the company, LaughingTrendy has been working out the details on fixing the promotional code issues that turned out to be easily exploitable. It was a ‘When it rains, it pours’ kind of day. This is the first time that I lucked out and missed out on the bad issues and had what can best be described as a fun and error-free launch day. But not everyone experienced the day unscathed. Note: the issues listed here are being addressed, and individual issues may be updated at any time. Please check out the Developer Twitter tracker (@STO_DevTracker ) for the latest updates, comments, and to follow the threads on issue statuses. Dude, Where’s my Ground Kit and Modules? Tuesday’s ‘Black Box’ issue continues to plague players throughout the PC version of the game. While several tricks have been found to force verify the Kit to free it from the Black Box (listed below the video), many players are still stuck in a frustrating limbo. The change to how the kits worked was to have been straight forward. As outlined in the various blog posts by Cryptic the changes included simplifying module slot types and adding the ability to upgrade kits and some of the modules themselves. During the Tribble test, problems were identified by players and reported in the appropriate forums. This included the black box issue, and outright missing kits and modules. For whatever reason, some of these problems reappeared on Holodeck with Artifacts release. In the case of Romulan Embassy Kits, they outright disappeared. [Forums] [CrypticSpartan] As I mentioned in this thread, Romulan Embassy kit frames are a known issue that will be fixed in a patch soon. We’re sorry for any frustration this may have caused and we can confirm that the developers are aware of the issue and are investigating it further. At this time we can’t say when it will be fixed and we encourage you to keep an eye on our website and official game forums for updates. Note: despite the issues, this kit update is pretty cool – more on that later. Black Box: Switch maps, 2-3 times while going from ground to space seems to be able to release the black box effect. Missing Modules – Crystalline Spike – you can reclaim it in the dilithium store. Lighting 2.0 has been for many players a huge improvement in the games quality. It’s an entirely new game as previously dark locations now have great depth and detail (Quonos), to places like DS9 that IMO look entirely new. As beautiful as it is, there is still a fair amount of refinement left to add. Polaron ‘Plaid’ Skin under the new Lighting 2.0 Conditions. Disabling Lighting 2.0: For players on older machines, it’s becoming a bit of a frustration as they were caught unprepared for the changes, with some older systems not responding at all. A setting in your Options menu under Graphics allows you to disable Lighting 2.0. Blurry Images: This was partially caused for some players when your resolution scale was changed by the update. You can manually reset this value again under Options, on the Display tab, by sliding the Resolution Scale to a more appropriate value. I’ve seen recommendations from 0.4 to 0.8 to resolve the issue. Random Crashes have been reported as well, tied to the resolution issue. While l hesitate to even mention this, many players have gone through the process of a full reinstall to provide a fix to the lighting and resolution issues – and some have had success. Note that at the moment I do NOT recommend this step as I cannot verify the success. 3) Slide both the Render Quality and the Graphics Detail sliders all the way to the left. 4) Slide both of those same sliders all the way to the right again. 6) Now go back and change your settings to whatever you usually use. 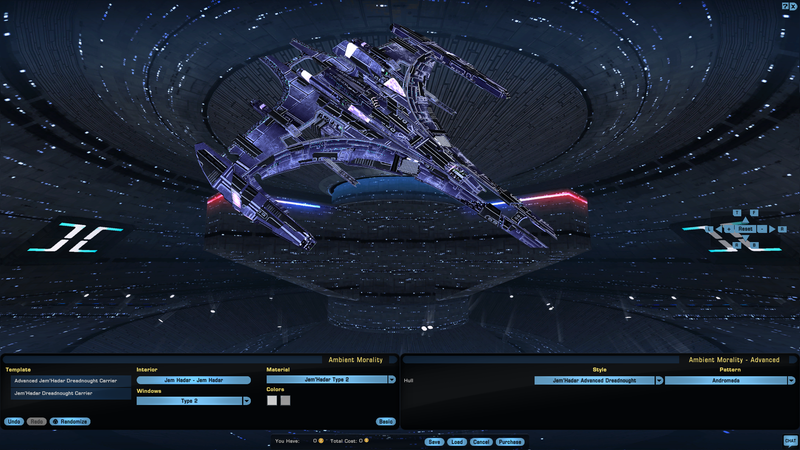 Some players noted that lighting 2.0 created black or reverse text on Tribble. That error appears to have reappeared in the Holodeck release. Forum User Freakium has presented a 3-step (sometimes technical) process to fix that problem which you can find here. This wasn’t by design, but rather by accident, and will be returned by the next patch. Not missing. The foundry is taken offline for a short period with every major release. Known Issue, to be restored shortly. Please note: this pack can be claimed once per account in the promotions tab for characters at least level 10. The items and the pack are character-bound. Dude, Where’s K-13? Why can’t I get on the station? Location: Alpha Quadrant, top left-hand corner of the map in 20 Draconnis. K-13 Fleet Holding: You need to finish Level 1 to actually get inside, but you can visit it in the new mission. Do not click on the featured episode graphic, rather open the episodes list and look to the top of the left-hand list. Click featured episode, and enjoy. This isn’t a bug, but rather how the system works after you’ve played the mission once on that character. One could argue that another screen should dynamically appear with the play option, but I digress. This story is ongoing, and we’ll update as we learn more. You can enter the 20 Draconis System but you can’t acess the actual starbase itself, you have to wait for Tier 1 of K-13. You may have misread the blog- I was speaking about the station, not the system. Next Next post: Tribble Update offers relief for PC players with lighting, resolution, and kit issues.